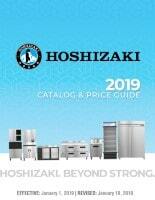 June 2015 - Hoshizaki America, Inc.
Hoshizaki America, Inc. is pleased to announce a new model: Commercial Series - Refrigerated Equipment Stand, Model CRES49. The 49” wide one section chef stand's exterior and worktop are constructed of high quality stainless steel. The easy to clean worktop boasts 700 lbs. equipment capacity with a built-in high-temp heat shield. 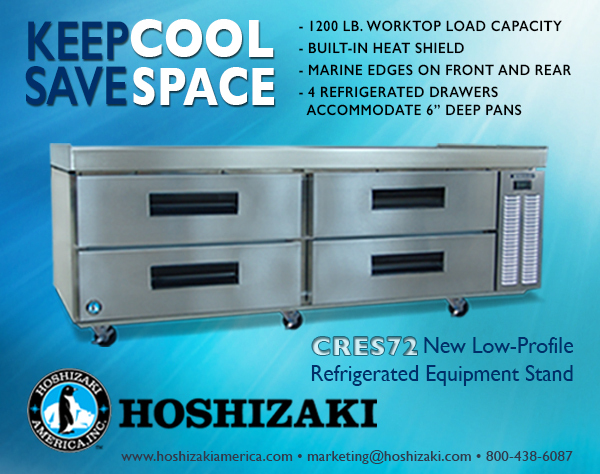 Hoshizaki America, Inc. is pleased to launch a new model line: Commercial Series - Refrigerated Equipment Stand, Model CRES72. The 72” wide two section chef stand's exterior and worktop are constructed of high quality stainless steel. The easy to clean worktop boasts 1200 lbs. equipment capacity with a built-in high-temp heat shield. 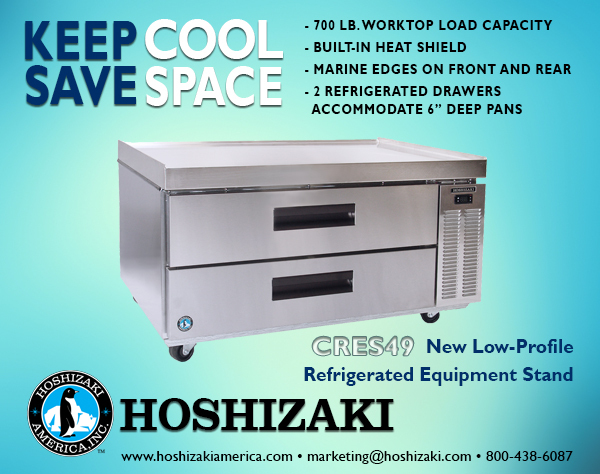 Hoshizaki America, Inc. is pleased to launch a new addition to the Commercial Series Line - Worktop Freezer with Drawers, Model CRMF48-WD4. The 48” wide two section worktop freezer exterior is constructed of high quality stainless steel. 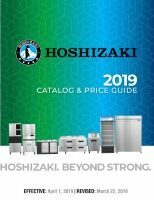 Hoshizaki America, Inc. is pleased to launch a new addition to the Commercial Series Line - Undercounter Freezer with Drawers, Model CRMF48-D4. 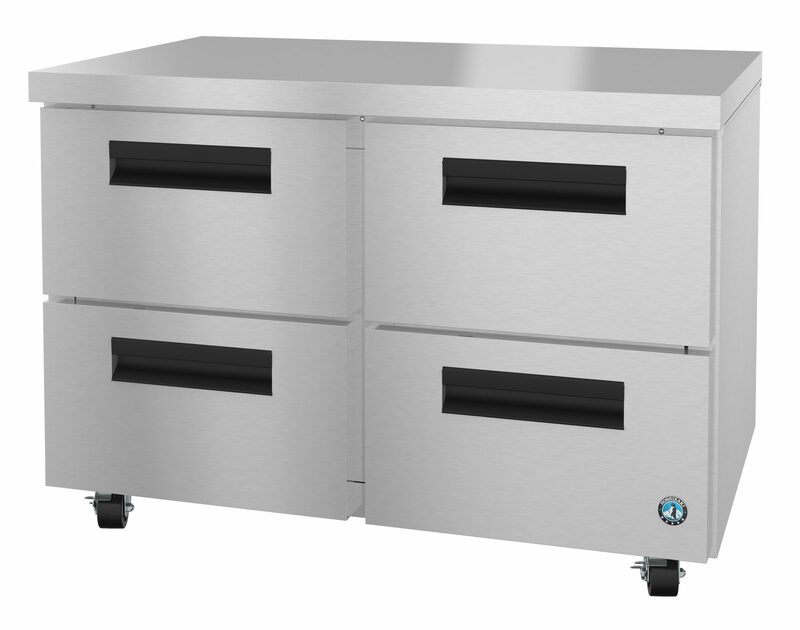 The 48” wide two section undercounter freezer exterior is constructed of high quality stainless steel.